In the EBRD region agribusiness has huge potential to advance economic growth and global food security. But it is vital to involve the private sector. 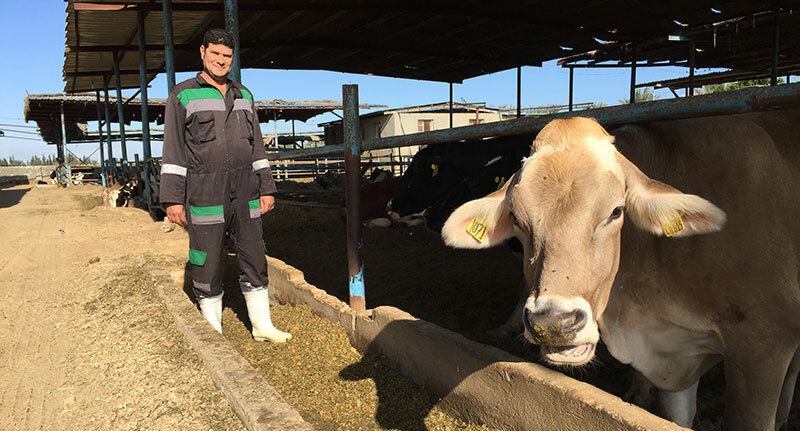 The EBRD, with support from donors, mobilises finance for agribusiness companies, assists them with technical advice and works with governments on policy reform to help create an environment in which the sector can thrive. We also aim to minimise the environmental footprint of agribusiness firms through better use of energy and water, reduced food waste and more recycling of agricultural by-products. Moreover, we support agricultural innovation through research as well as transfers of knowledge and technology. We achieve this by partnering with universities and global experts such as the United Nations Food and Agriculture Organization. In 2016 alone, the EBRD invested €817 million in agribusiness projects. Donors including the EU, the TaiwanBusiness-EBRD Technical Cooperation Fund, Luxembourg, Italy, Republic of Korea and the EBRD Southern and Eastern Mediterranean Multi-Donor Account have contributed €41.2 million for these activities. The projects have a concrete impact on the work of farmers and producers. They help introduce higher standards for food quality and animal welfare, make businesses more competitive and boost exports. For example, the EU contributed €25.6 million for the Trade and Competitiveness programme to support the development of value chains in industry commerce and agribusiness in Morocco and Tunisia. The programme links SMEs to larger, experienced companies to create value chains that are more sustainable and export-oriented. And in 2016 the TaiwanBusiness-EBRD Technical Cooperation Fund provided an additional US$ 15 million to a co-financing facility for investments in agribusiness SMEs in early transition countries, where development challenges are significant. Furthermore, last year Luxembourg supported the development of agricultural cooperatives in Serbia, Korea financed a review of Ukraine’s grain-sector infrastructure and Italy funded a study on capacity gaps in Albania’s agribusiness sector.